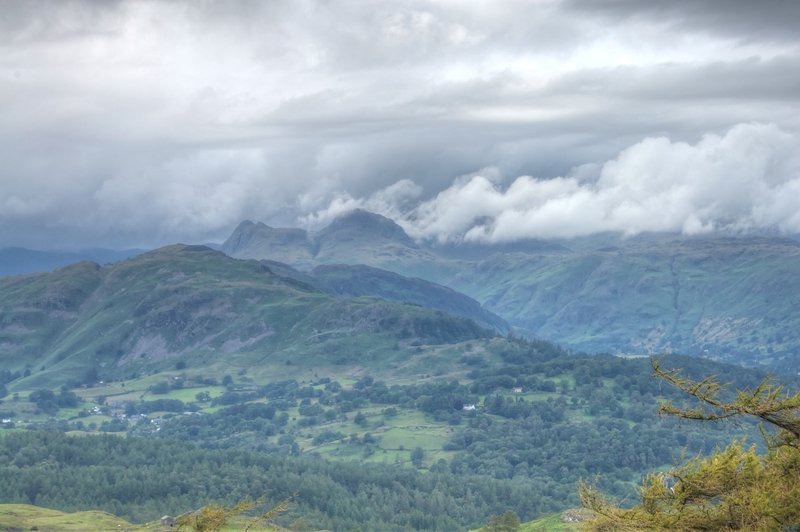 Just two hours prior to this photo and the Langdale Pikes had been cloud free. The famous Lake district weather was setting for a long spell by the time I took this image. Lingmoor Fell is the hill in the middle distance on the left. This is the view from the wonderfully named Black Crag – you can be sure of your location here as the trig point even has a metal plaque with the name of the fell embossed on it.